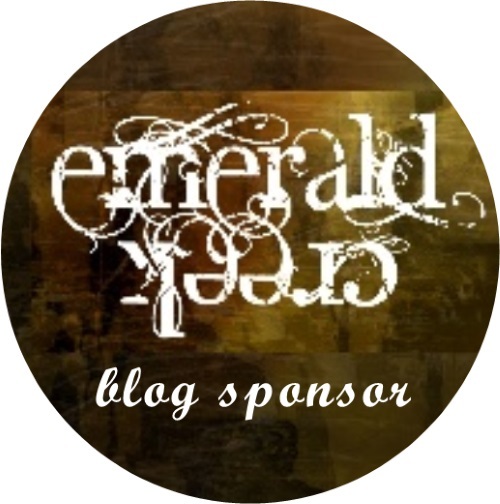 We are also here to welcome a very special guest who is well known in blogland and I will hand straight over to her to to introduce herself and show us a very lovely project, perfect for the day. It is so wonderful to be here at A Vintage Journey on Christmas Day! I am so pleased to be able to join in with Annie's challenge that was a total dream to do!...I am so happy to be here, I can't wait to show you what I made for you! My name is Laura and I have a passion for crafts. I have always been creative and I do a lot of crafts. 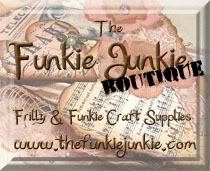 I love Scrapbooking, crafting with stamps and inks, I paint - watercolour, acrylic, fabric and glass. I love to draw. I do crochet, knitting, woodwork, pyrography, candle making, servietten technique, sewing, cross stitch, tapestry. I love doing patchwork, pottery and cake decorating. I love making dolls house miniatures...the list goes on and on. 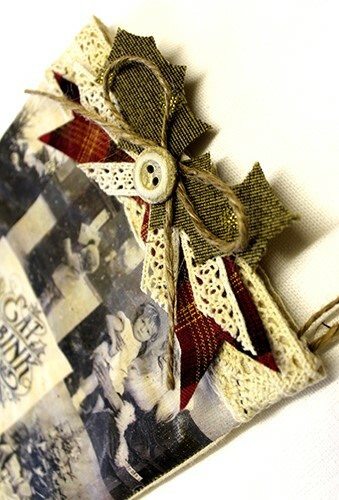 I really love the 'how to' part of crafting...Can I do this?...how would I make that?...Would that work? - That to me is the magic of crafts. 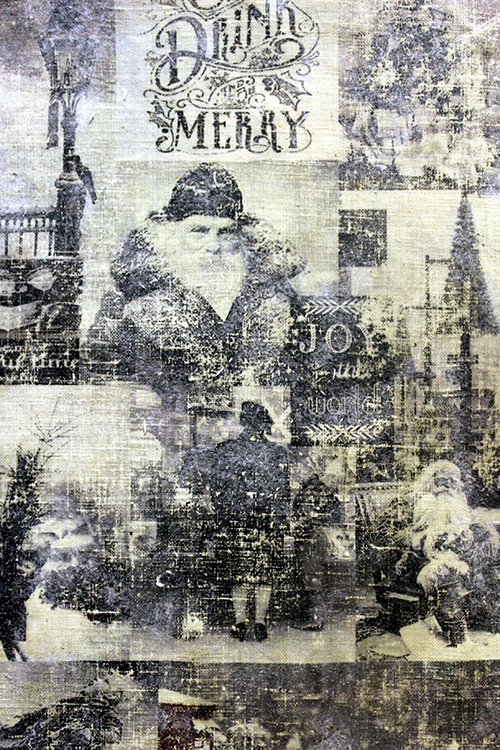 No, this was a project that began with a printed sheet of photos, some cotton material and some Decoart Matte Medium. 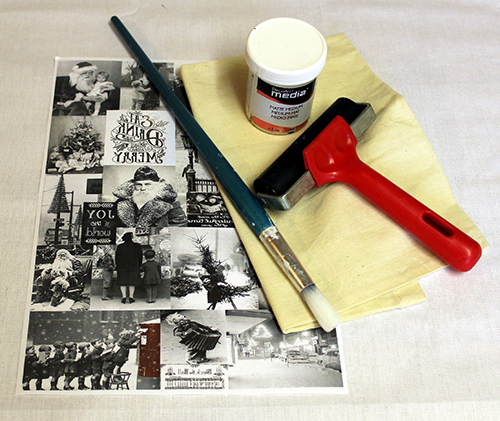 The tools used were a paintbrush and a brayer. Minimalist equipment for sure! 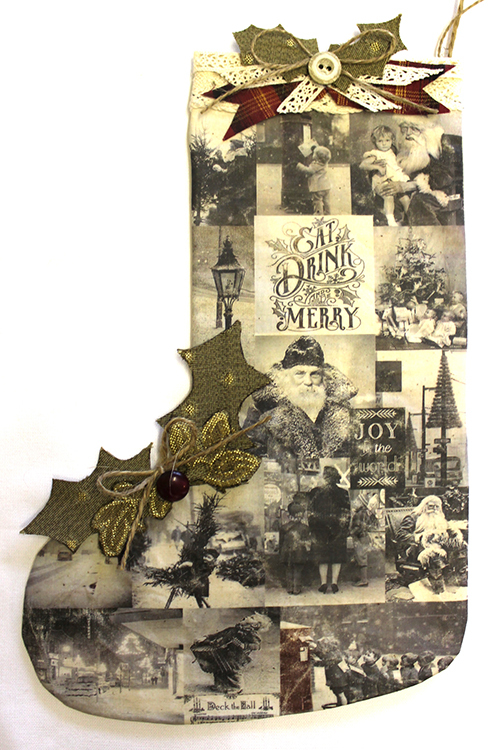 As this was being made for A Vintage Journey it had to be inspired by Tim Holtz. Like all crafters here I love the work he does and the items he uses, but for me one thing that stands out is the vintage photos and images he uses in his work. I really love to get the photobooth sets out for projects and the Found Relatives set is one of my most treasured craft items. In fact I like them so much they can be hard to use because I want to keep them! Image transfer is a well known technique, but I will explain how I did it. You can use any image for image transfer - some work better than others. I find that laser printed images work really well. 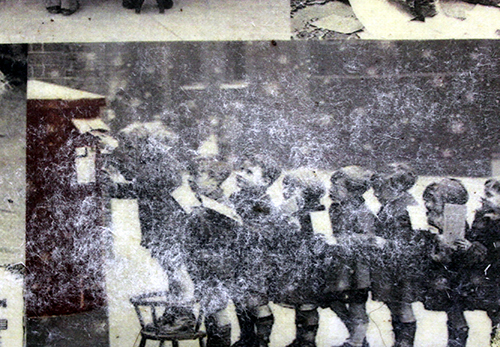 Ink-jet prints, while the image does come out, are usually slightly blurred. 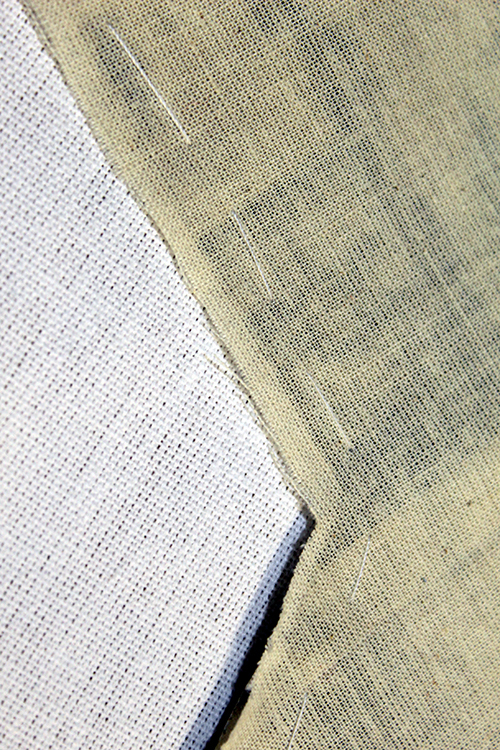 The quality of the image is also affected by what you are transferring it onto...it is great to experiment and see what effects you get with different textured surfaces...as you will see later the cotton material had a fortunate/unfortunate (depending on your view) reaction to being roughly handled. I set the photographs up to print using paintshop. I also took this time to check brightness and contrast. 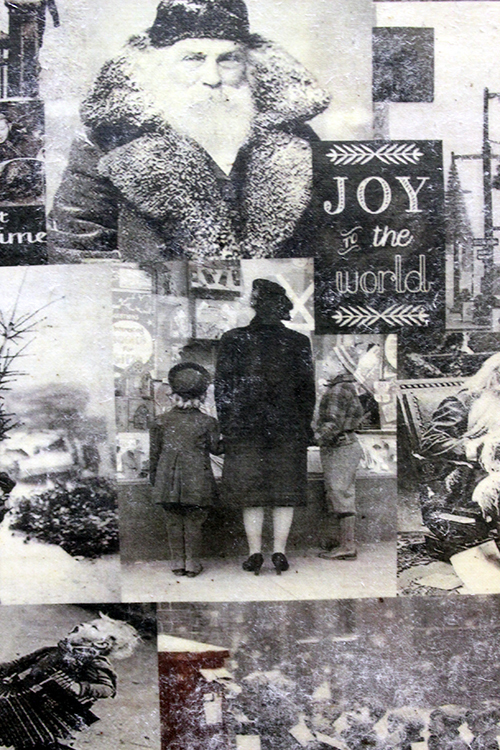 I wanted a variety of tones, so if some photos had a slight colour I left this as it was because I always love it when Tim Holtz tints B&W photos. All photos with any lettering were reversed before printing so they would be the right way round on the finished transfer. I added the images and arranged them into a collage style format. 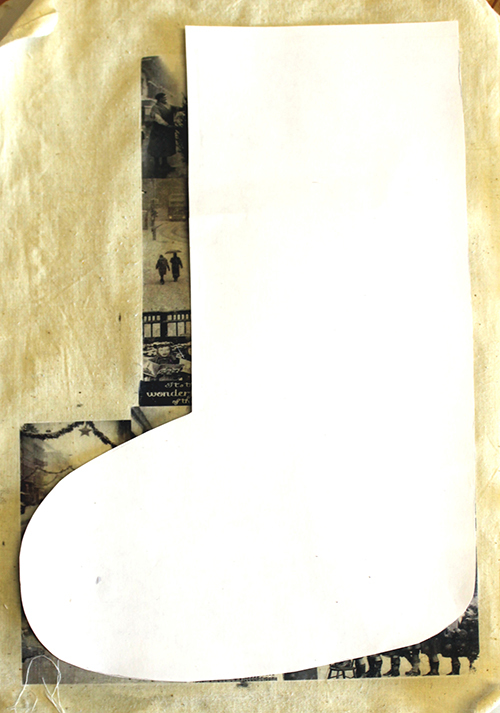 To save ink waste I formed the pictures into a rough boot shape as I knew not all the paper would be used. Yes, I was a bit to eager...Image transfer requires patience. As you can see the image is barely there - a little too rustic I think! This version worked better - It was left overnight to dry and I worked slowly removing the paper. I would damp the surface down with a sponge and gently rub away the paper...then leave it to dry and re-apply the water and taking more paper off. It may take several attempts to remove all the paper. Here you can see I thought all the paper was gone, but when the image dried you can see clouds of white paper still covering the image. It took about five goes before all the paper was removed. 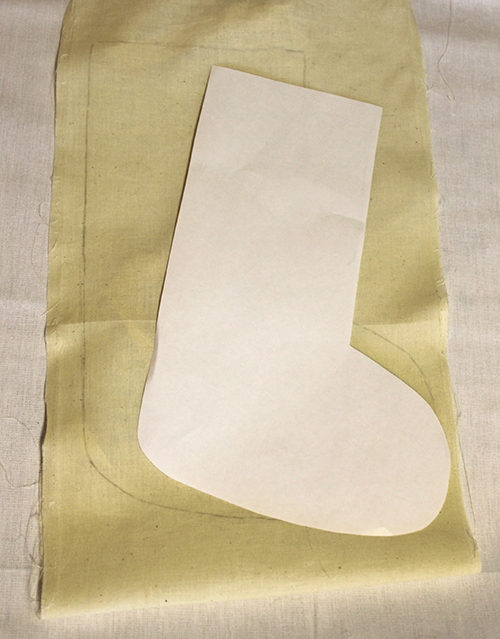 I cut out a template for the Christmas stocking. Sadly, despite all my best efforts to have a pristine, clear image transfer - some of the image rubbed off slightly during the struggle to turn the stocking the right way. 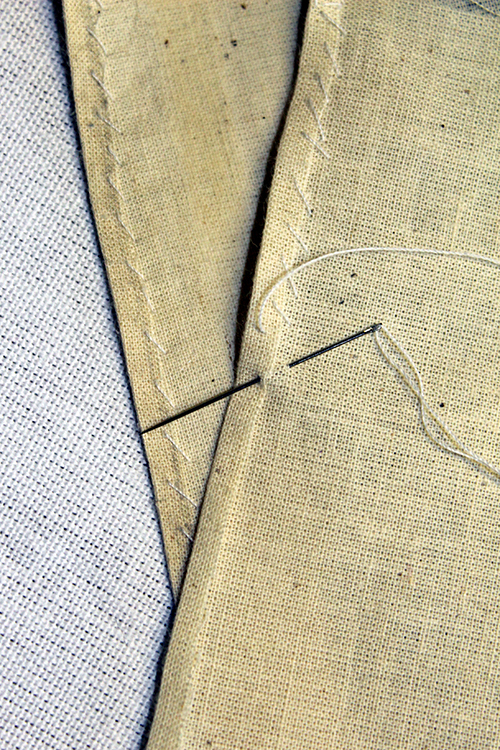 The matte medium doesn't leave the cotton very pliable and it isn't easy to work with - but Tim always says "Embrace imperfection"..and while the images are no longer 'perfect' they do have that lovely rustic shabby chic look...which can actually be hard to recreate....happy accidents! 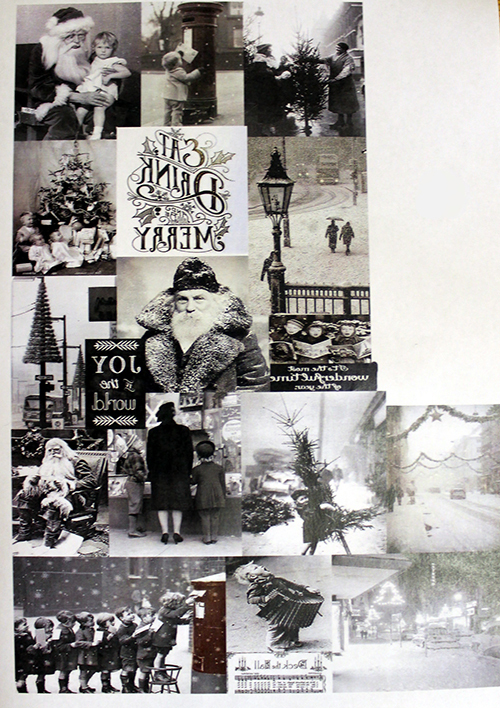 It certainly was worth the effort and will be a lovely vintage element to our Christmas decorations this year! 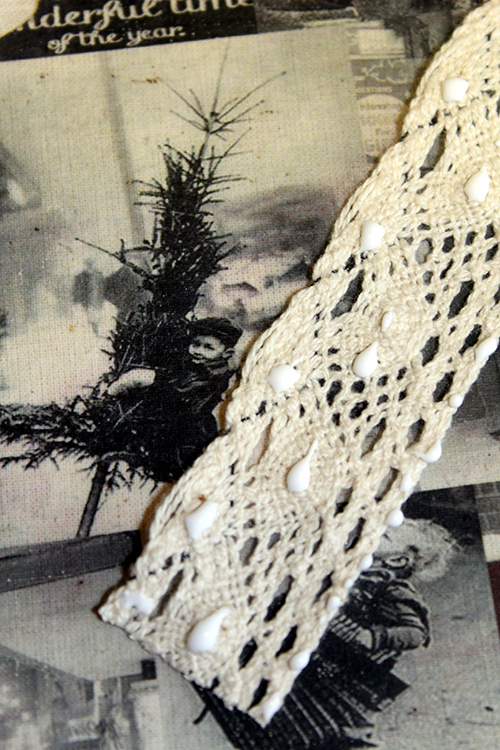 Here I used a strip of tartan material and lace along with more holly and twine. 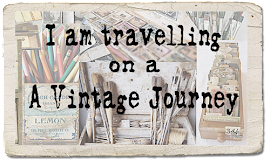 Thank you so much to the Vintage Journey team for having me here....It is so lovely to be sharing Christmas Day with all of you! 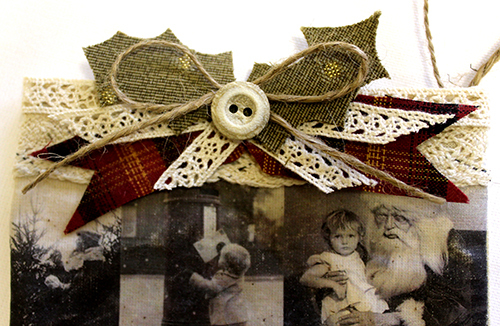 I have really enjoyed making this and I hope my Vintage Photograph Decoration adds some inspiration to your current challenge. Wishing you all the very best for a very happy New Year in 2016! A huge thank you to Laura for creating this perfect decoration for today and I am sure Santa filled it with lots of goodies. 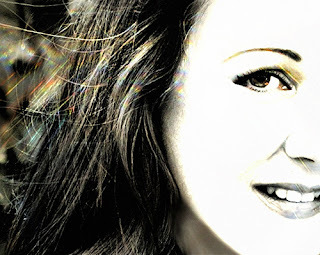 From all of us Laura have a very Merry Christmas and a happy New Year. Wishing you all peace and happiness for Christmas 2015.
huge hugs Brenda and the Creative Guides. 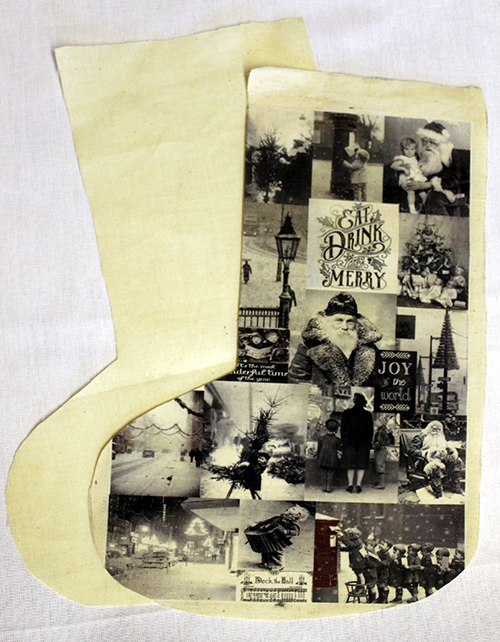 Beautiful Vintage stocking! Wishing you all a Merry Christmas. I love this! Especially that it is NOT perfect and has this shabby chic touch to it! 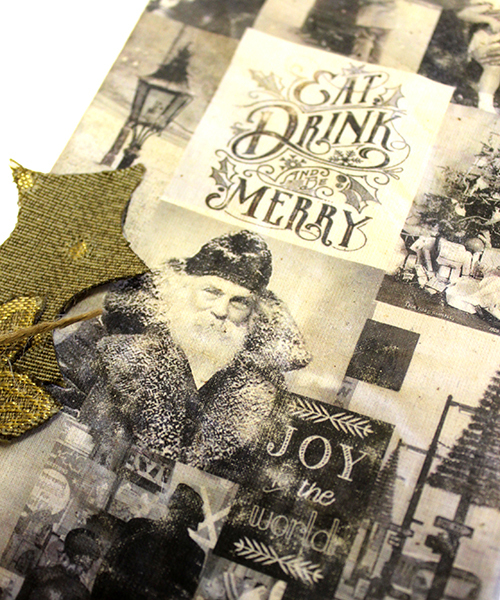 The spots where the images got worn off a little add such lovely depth and texture to this magical Christmas project! What a brilliant project and idea! Merry Christmas to AVJ and to you, Laura! How very clever! 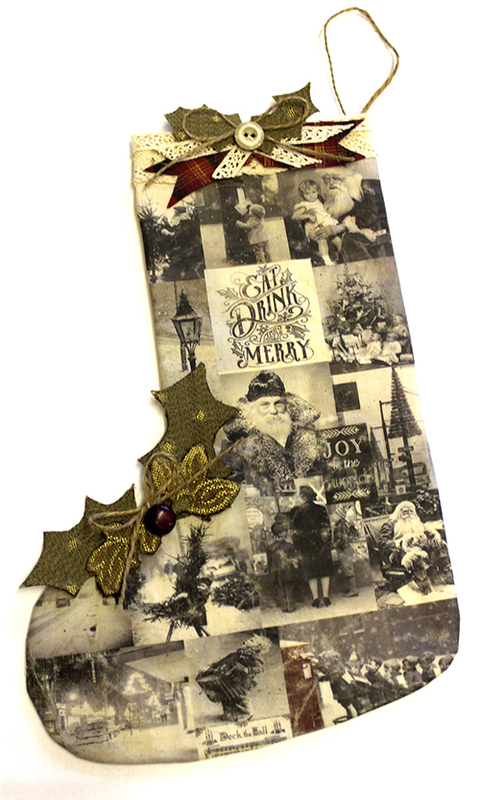 Absolutely love what you did with those amazing vintage photos, a perfect project for the theme, so original, - who would not love a wonderful stocking like that! Happy Christmas to everyone! Thanks for joining us today Laura - your lovely project is a delight and so perfect for today. The vintage photos that you used are so fun to look at. 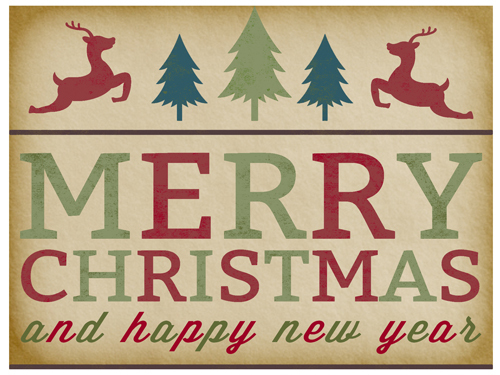 Have a very Merry Christmas and a Happy New Year. 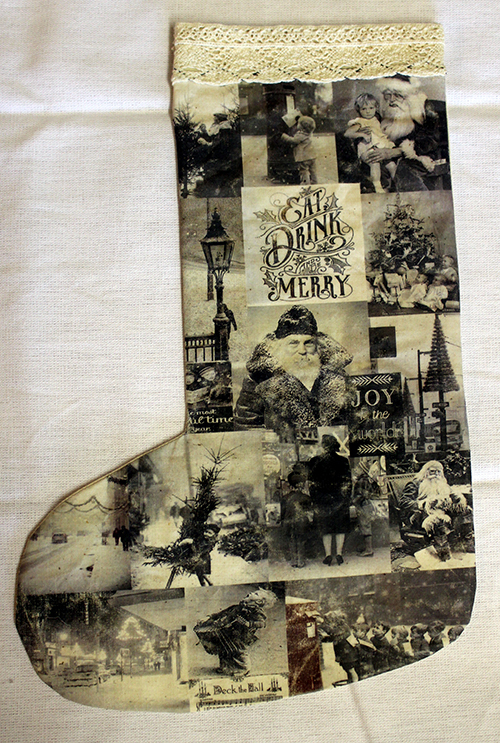 beautiful vintage stocking! thank you for sharing & happy new year! What a fabulous decoration for Christmas, Laura! 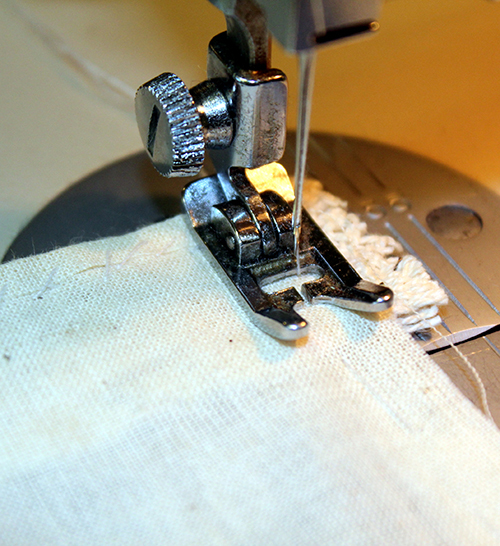 Your step by step is brilliant, thanks for sharing. 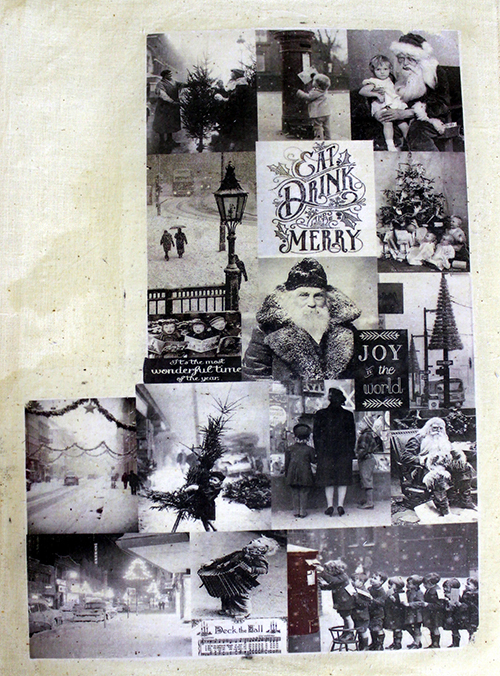 Wow Laura - WHAT A PROJECT - just the photo transfer alone must have taken forever - that was a big transfer! But sooooo worth your efforts. Your stocking is just FABULOUS. Totally in LOVE with the Vintage photos you found. Your stocking turned out beautiful and FUN too. Oh and thank you for such a SUPER tutorial too. Really loved seeing this - made my Christmas Day perfect - thanks bunches. Hugs. j. 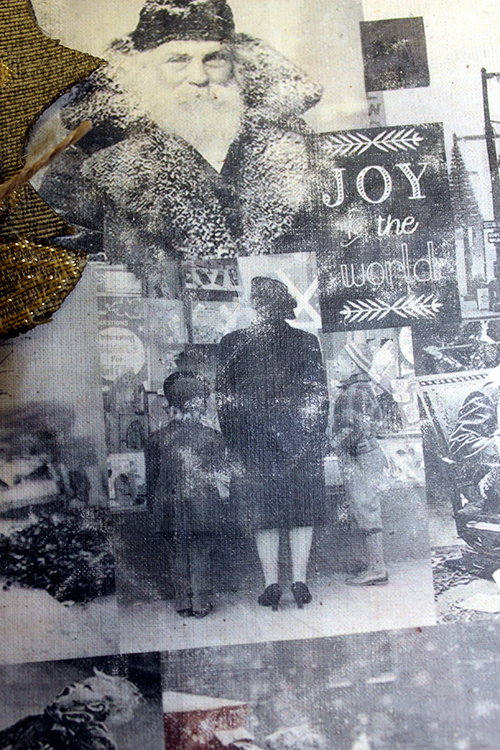 A fantastic project - brilliant use of all those lovely vintage images, and it looks even better in real life! Wow! So glad you took the time to show us how you did this and what NOT to do! The quality of the print is incredible and I'm yet to get something as good (but now I know...)with this technique.